James Coy offers a full range of Architectural services, responding with creativity and unique a understanding of each client's design 'wish list' and budget. James Coy's depth of knowledge and extensive resources developed over many years, raise the finished project to a higher level, and result in maximum value for his clients. Bruce Winchell Architect was founded on the belief that client involvement and a positive relationship is the key to a successful project, and he is committed to a team-oriented approach in all phases of the design process. Bruce believes in the value of collaboration within our office, the building contractor, and most importantly, the owner. Bruce's practical experience covers the entire spectrum of projects, from single family residential additions and remodels, custom new home design as well as commercial, institutional projects and retail spaces. The common thread in Bruce's buildings is the belief that architecture can lift the spirit, and that great relationships make great architecture possible. Bruce Winchell Architect is committed to conservation and wise use of our natural resources, and minimizing our projects' impact on both the built and un-built environment. 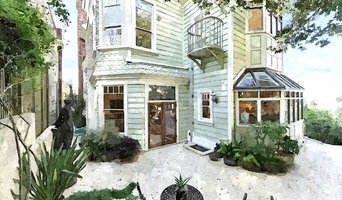 Services Provided - Market rate and affordable multi-family housing - Custom new homes and remodels - Environmentally conscious design - Feasibility Studies Areas Served - San Francisco Bay Area - Belmont, Bodega Bay, Half Moon Bay, Mill Valley, San Mateo, Redwood City, San Francisco, San Rafael, Sea Ranch, Sebastopol, Sonoma, Walnut Creek, Woodside. Outside SF Bay Area - Mammoth Lakes Area – Swall Meadows Education - Rhode Island School of Design, B.F.A 1981, B.Arch. 1982 Awards and Recognition - State of California Licensed Architect #27844 - Rhode Island School of Design: Design Awarded University of Rhode Island - Oceanographic Institute for their Research and Exhibition Center. - Boston Society of Architects Award for Excellence in Design and Other Subjects. - Cambridge Seven Associates: Conceptual Design: Harvard Square Design Competition. How do I find the best Lucas Valley-Marinwood architect for my home design project? It is best to hire a home architect who will be involved in all phases of the design process, from the initial concept to the completed construction. The architect is often the first person you will hire for your project. If necessary, they might also help you select and hire California subcontractors, which can include the builders, engineers and landscaper. Interior architects are also involved in negotiating contracts for all involved participants. It is for these reasons that it is extremely important for you to have a good relationship with the Lucas Valley-Marinwood residential architect you hire. He or she can be the tie-breaking vote between you and the general contractor and can be your biggest advocate during the construction process. Different architecture firms in Lucas Valley-Marinwood, CA provide different services, so the scope of the work can span from pre-design environmental impact studies to selecting furniture and finishes, depending on what your specific needs are. It is very important to hire the right professional for the job. Remember that the most well-known or established designer might not provide the best architectural services for your needs. It all comes down to the individual project. Research and ask people whose work you like for recommendations. It's important to have somewhat of an idea of the style of house architecture that you prefer, as well as the amount you would like to spend. Residential architects in Lucas Valley-Marinwood, CA are natural problem solvers. They will assess the entire situation and help you to solve your problems too. Don't settle for a single company too early. Call and interview a few. Make sure that you feel like your personalities will mesh well and that you like their professional perspective. Find a home architect in Lucas Valley-Marinwood, CA on Houzz. 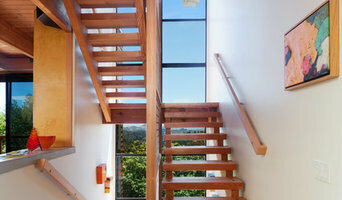 Narrow your search in the Professionals section of the website to Lucas Valley-Marinwood architects. You may also look through photos of California projects to find interior architects and building designers who have worked on a project similar to yours.